At the recent Australian Property Institute (API) Western Australian Division’s Commercial Property Outlook event held in Perth, Mr Steve Kish, WA President and Mr John Martin, Life Fellow of the Institute, presented the API’s highest honour of ‘Life Fellowship’ to David Moore. Now a LFAPI, David is only the fifth person to receive this prestigious distinction in Western Australia for his significant contribution to the progression of the valuation industry and outstanding leadership. An active member of the Institute since joining as an Associate of the Australian Institute of Valuers in 1989, David was elevated to Fellow in 1994. David has held various posts within the Institute including President of the WA Divisional Council and representing the division as both National Councillor and National President. He has also been involved in the API WA CPD Committee and a member of the National Professional Board, providing significant input and practical application of valuation requirements for the benefit of API members further education. Of note, the National Risk Management Module was developed by the National Professional Board and released in 2003 and continues to be part of the API’s CPD program. In 1990 David was a co-founder of the firm Christie Whyte Moore. He went on with other Directors to form Quantia before becoming founding Director of the national valuation and property advisory company Opteon. 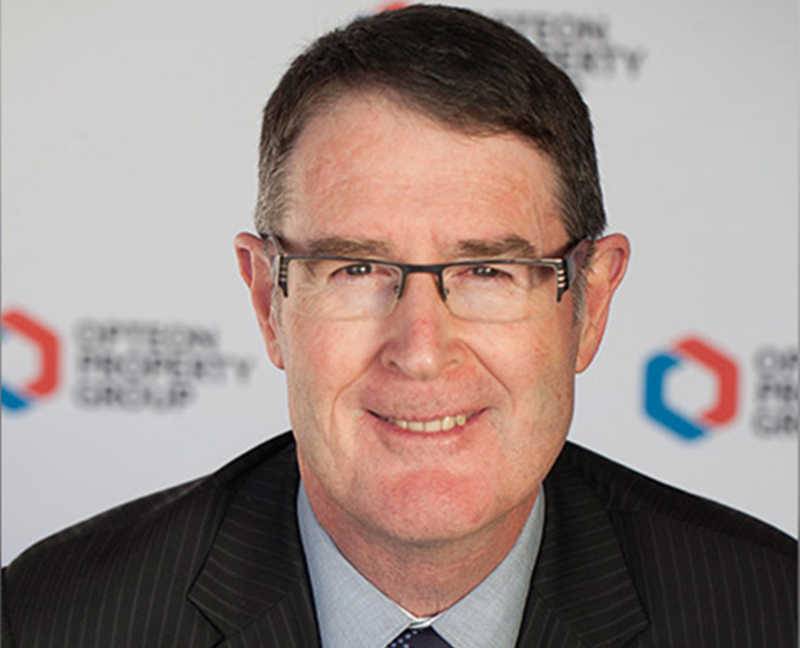 David continues to hold a senior management role within the Opteon Perth commercial team and is a respected mentor to the team. A member of the International Committee, David was formerly convenor and Chairman of the organising committee for the 2009 API/PINZ International Conference held in Perth. He was also part of the organising committee and Chief Delegate at the 2012 Pan Pacific Congress of Real Estate Appraisers, Valuers and Counsellors held in Melbourne. David has worked continuously to promote the Institute to stakeholders and related organisations. He has represented the API at ASEAN Valuers Association (AVA), International Valuation Standards Council (IVSC) meetings and delivered papers at international conferences. David was a member of the Western Australian government’s Department of Planning and Infrastructure Board of Valuers from 2006 to 2011 and a Senior Sessional Member of the State Administrative Tribunal of Western Australia since 2010. David has been recognised for his services and dedication to the property community. He continues to volunteer and undertake tasks on behalf of the Institute and is a Member of the Division’s committee of Professional Interview Chairpersons. David is active in mentoring students and young members of the Institute and is highly respected by the membership. Given his many years of devoted service and his recognition in the business community, David Moore has demonstrated that he is truly worthy of elevation to Life Fellow of the API. Congratulations David on this outstanding distinction.